Really? Strong enough to watch this video past the warnings of graphic content, past the 'not for sensitive viewers' label, past the first few seconds of aerial footage starting to zoom in on a bewildered, bleeding young female rhino left alive after her horns were chopped off with an axe by poachers? Then you're braver than me. Look at the figures in this Save the Rhino graphic: although it's already out of date - the April figures have brought the total so far this year up to 294 - the estimated numbers are turning out to be depressingly accurate, which will mean that by year end, unless something drastic happens, the total will surpass last year's record 1004 deaths. That's more than a thousand inoffensive, innocent rhino, on the earth as a species for 50 million years, just browsing leaves or eating grass - gone. I know they're not as appealing as elephants and lions and tigers and so many other species that are also threatened, that they're the Ugly Duckling of the endangered list, but they still deserve their space on this earth. At this rate, they'll all be gone within ten years. Ten years. The thought that they are being relentlessly exterminated so that heartless people can get rich by supplying the horn to stupid and/or ignorant people in China and Vietnam who think taking the powder will cure their illness or, even more outrageously, prevent their getting a hangover after a night on the tiles... it's hideous. What's to be done? 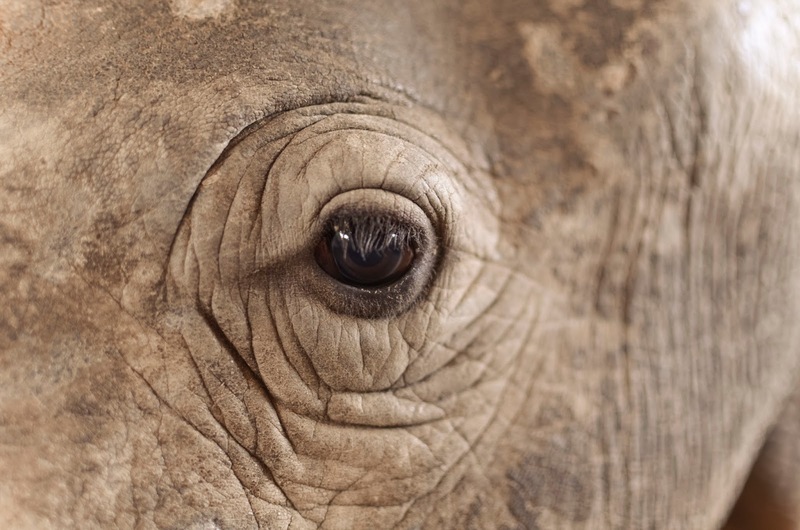 Tell people, and support organisations like Project Rhino KZN, Save the Rhino and, here in New Zealand, imakeadifference - there are many people out there working hard for the cause and some of them are risking their lives, literally, to prevent rhino poaching. Please help them.